Our 8 oz. bottle of sunscreen has a flip top for convenience. 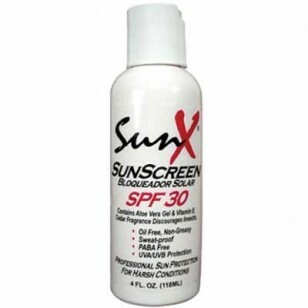 Each bottle of our sunscreen is fully FDA compliant and tested with the most sought after features. 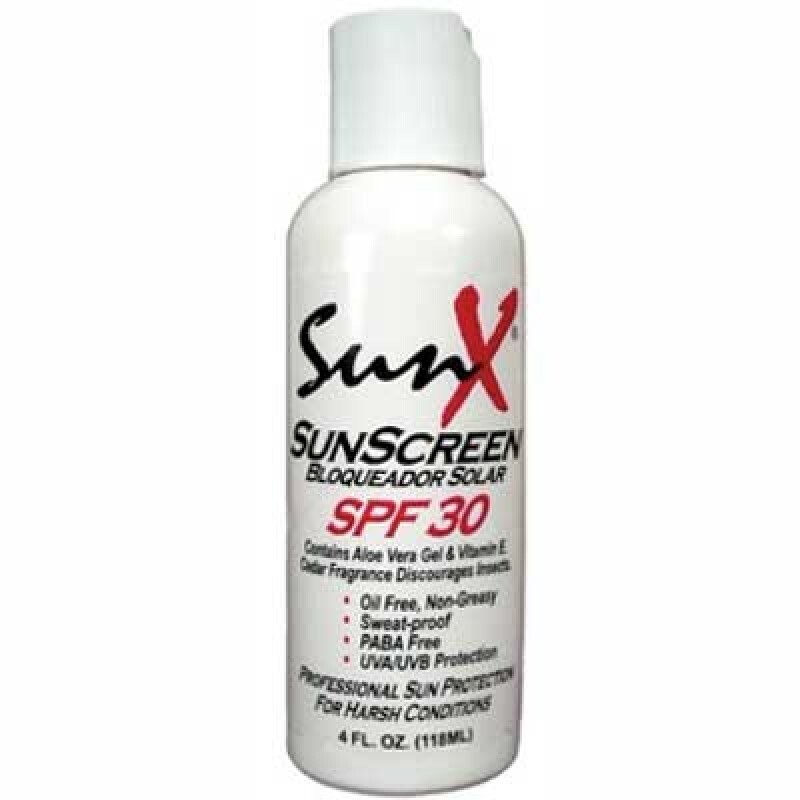 The sunblock vanishes quickly into the skin and won't sting eyes. Contains Aloe Vera Gel and Vitamin E.